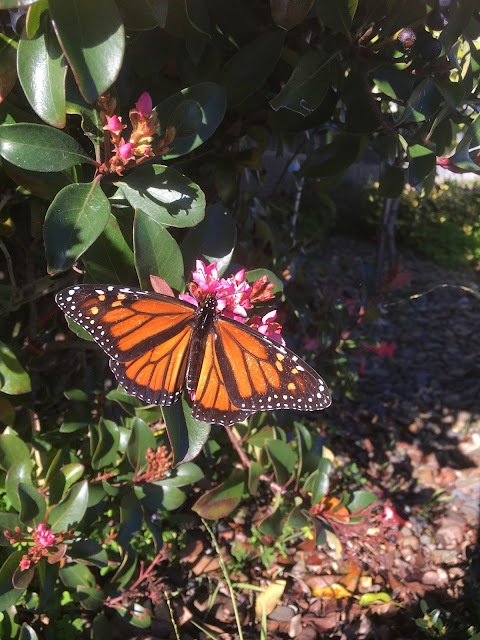 I spotted a Monarch Butterfly in the garden, which I thought was unusual for winter time. They are such a beautiful butterfly. I decided to do a bit of research on the Monarch and found out some interesting facts, of which I was not aware. The Monarch Butterfly is not native to New Zealand, but actually established itself here on it's own. So it was not a species introduced by man. With the Monarch being native to North America, that was a very long migration to embark upon. I always thought they had a short life span, but not so. They can live for up to 60 to 70 days, but if they pupate in Autumn, their life span can extend out to 7 months. Which is why I was privileged to see one today. One of the wise old ones from the clan, making the most of winter sunshine to get out and have a feed. July 27th A Definitely not IRR-Elephant Day! July 26th Feeling Sick? Need To Vomit? July 25th Run Mickey Run! July 9th and 10th - What Was That Blurr? July 3rd Get A Dictionary!